Wouldn’t it be wacky if the cost of driving went down and up when market conditions change? Oh, wait, it already does: New vehicles get more expensive as automakers lure buyers with new features. After plunging for years, amid a global oil glut, the cost of gasoline is rising again. People take that in stride. But for some reason, we view free or low-cost parking as a human right, and we’re all shocked when the City of Boston asks drivers to pay extra for curbside spaces in jam-packed areas. 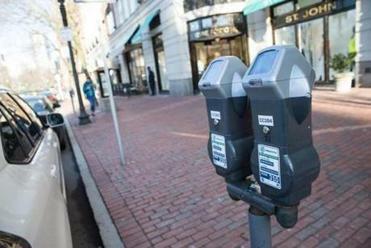 Recently, Mayor Martin Walsh announced plans to hike parking meter rates from $1.25 an hour to $3.75 in the congested Back Bay and impose varying rates of up to $4 an hour in the Seaport District. The move provoked some drama, as a Globe story showed: “Nickel-and-diming commuters,” City Councilor Michael Flaherty called it. Vicki Smith, the chairwoman of the Neighborhood Association of the Back Bay, said her group was “blindsided” by the move. “I think I need to move to a different state,” a motorist on Newbury Street told a reporter. Relax. Moving lots of people and stuff in and out of congested spaces is a fundamental challenge in cities. 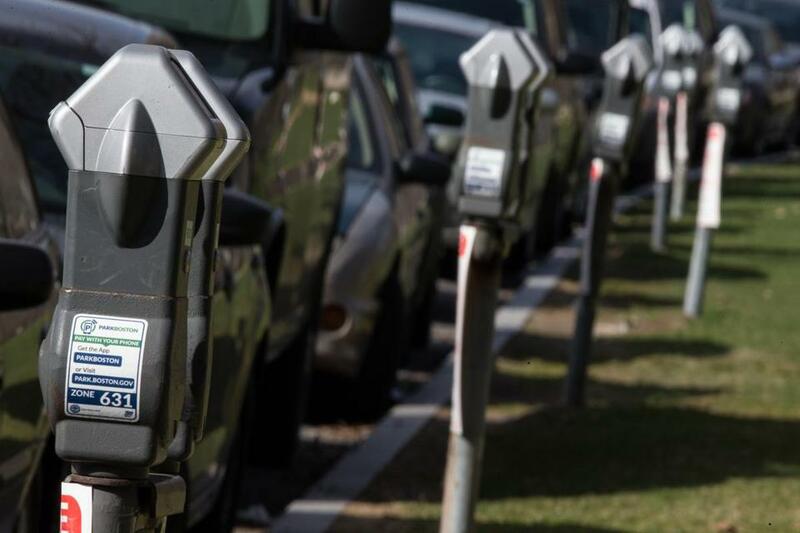 Parking meters allow motorists to take turns using scarce curbside spaces, and should cost enough that there are vacancies on every block. If there’s a problem with Walsh’s experiment with higher rates, it’s that he didn’t jack them up enough. The rates are set to increase Jan. 3, with drivers paying $3.75 per hour to park in the Back Bay and eventually up to $4 per hour in the Seaport. Parking meters in Boston are a bargain at $1.25 an hour. That’s close enough to free that motorists with other transportation options have no incentive to leave their cars at home, or at least park in private garages. Before Boston adopted the current rate in 2011, the city had charged curbside parkers $1 an hour for the previous 30 years. By comparison, MBTA subway fares rose from 60 cents in 1982 to $2.25 today. Had meters merely kept up with inflation since 1981, they’d cost $2.66 an hour citywide. But even in the Boston area, government treats individually owned automobiles as the default mode of transportation — and transit riders as a special-interest group. In these fraught times, drivers’ objections to paying $2.50 more to park can take on puffed-up ideological overtones. To liberals, higher rates at Back Bay parking meters mean that only the rich will be able to park near Patagonia or Valentino. In the Tea Party version of the story, higher parking rates are yet another money grab by the government. Both attitudes, by the way, contribute to a broader squeeze on government’s ability to function. In the last few decades, people have grown accustomed to paying $4.50 for coffee instead of 50 cents. To insist that $1.25-an-hour meter rates are sacrosanct is to deny the city the ability to manage its transportation network. Not everyone is insisting on the status quo, of course. Walsh’s move has sparked spirited debate on BostonGlobe.com and the community news site Universal Hub; in both places, plenty of readers saw the upside: more available spaces, less double-parking, less congestion and vehicle exhaust. If anything, Walsh should go further and expand demand-based meter rates elsewhere in Boston. Parking in the heart of a city can’t be both cheap and plentiful. Being able to put our cars wherever we want for however long we want isn’t the natural condition of humanity. Dante Ramos can be reached at dante.ramos@globe.com. Follow him on Facebook: facebook.com/danteramos or on Twitter: @danteramos. Jeremiah Manion contributed research for this column.